Well, I have an important announcement, and it’s not another pregnancy, HA! I was a massive bookworm growing up (I got in trouble for reading under my desk a lot and remember begging for “reading dinners” where we could read at the table) and I have a huge desire to raise Carys and Emmeline to be bookworms as well - and that’s translated into a passion for increasing children’s literacy and creating an entire generation of bookworms. This has led me to become a consultant for Usborne Books & More. (If the word “consultant” scared you off and visions of MLM schemes are dancing in your head, DON’T STOP READING, I PROMISE IT GETS GOOD!). 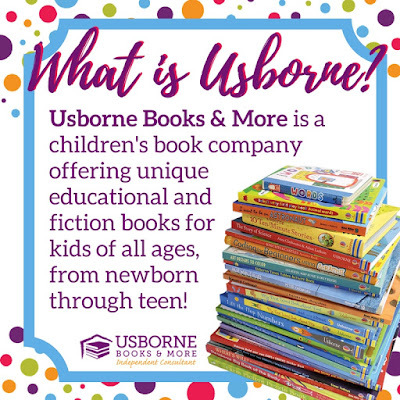 Usborne is a children’s book company with over 2,000 AMAZING titles for everyone from babies through young adults. And a few things that will appeal to adults, too! I’m a little obsessed. 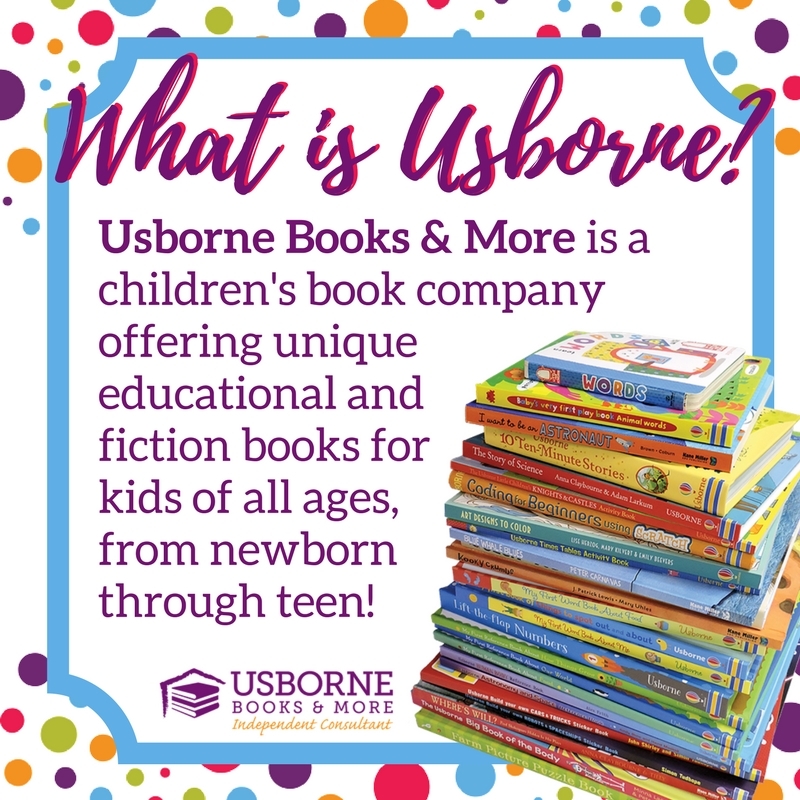 And everyone that knows Usborne is obsessed, too - so it's no surprise that company has been around since 1975 and is a world-leading publisher of children’s books - books that are so unique they actually compete with TV and tablets. Seriously! 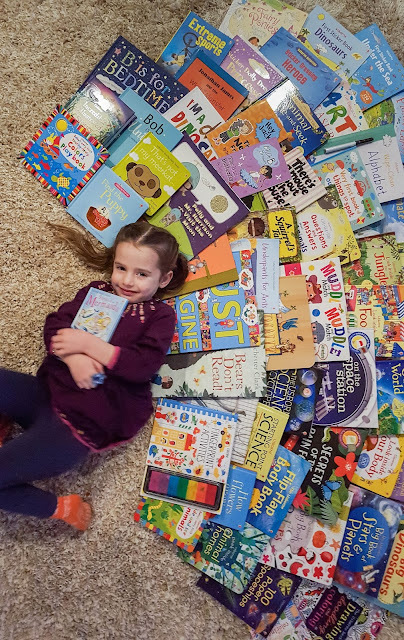 I often hear, “I love Usborne books, but I’ve always heard they’re so expensive!” Well...no. But also yes. But mostly no. They’re about the same price you’d pay at any bookstore or on Amazon, and these are incredibly high quality books that will easily last multiple children. I haven’t gotten one yet that I thought I paid too much for, honestly. Most of the books are between $5.99 and $9.99. And yes - they are expensive compared to Scholastic books or other cheap options. Don’t get me wrong, we LOVE Scholastic and I’m a great believer in their book orders (the best day at elementary school was when my book order came in!) and they’re a great way to get books in homes for very cheap, but...they’re very cheap. They’re very thin and often abridged versions of popular books, which allows them to be so inexpensive. Usborne books are not cheap quality...at ALL. I don’t want to annoy my blog readers - all ten of you, haha - and I know whenever I see a sponsored blog post on blogs I read, I quickly exit. This isn't sponsored. Usborne didn't pay me to write this. This is me sharing a company I'm really kind of obsessed with. 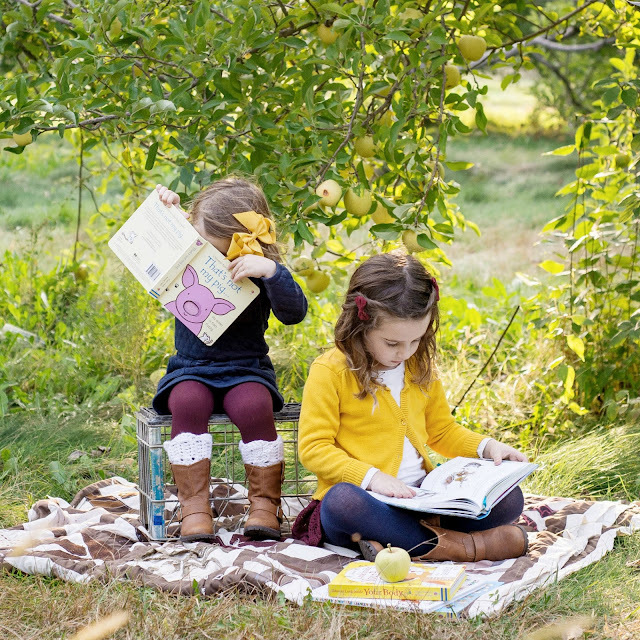 ;) I will try my hardest to not clog up my blog and make you hate me; however I DO want to get the word out, because reading is SO IMPORTANT in raising children to be successful, intelligent, and curious. Study after study has shown the importance of literacy in a child’s life. 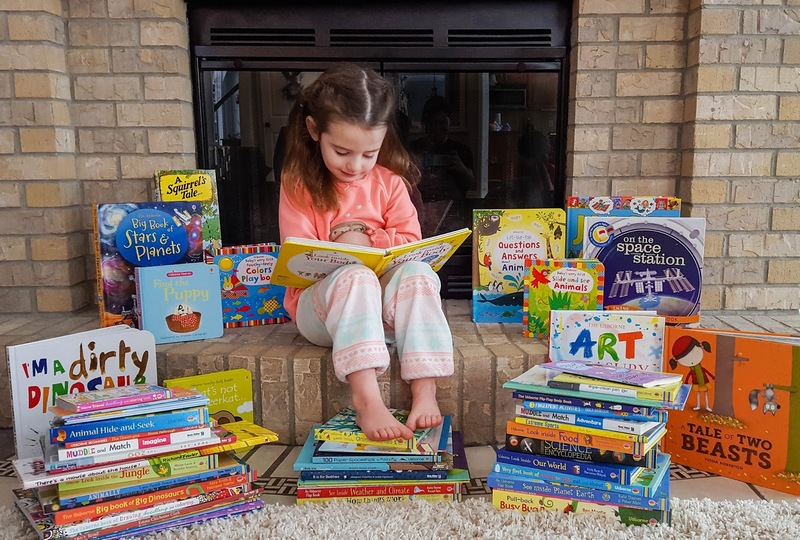 I promise - if your kid doesn’t like to read, they just haven’t found the right book or topic. And if you don’t like to read to your child, you need better bedtime stories. :) And Usborne has books that you will BOTH love. I'll try to limit it to the occasional review or recommendation. 1. If you want to shop or browse the books, go here: https://y4581.myubam.com/. These are great birthday gifts, baby shower gifts, Christmas presents, and everyday gifts! 3. If you want to earn free books yourself, let me know and you can host a party through me on Facebook (super easy as I do most of the work...and it's fun! It takes place entirely on Facebook for just an hour!). When I did my party, I earned over $300 worth of free books and got a giant box of books in return. Between that and the ones I ordered out of my own pocket, I now am a proud owner of 70+ Usborne books. And...no surprise...I want at least 70 more. HA! 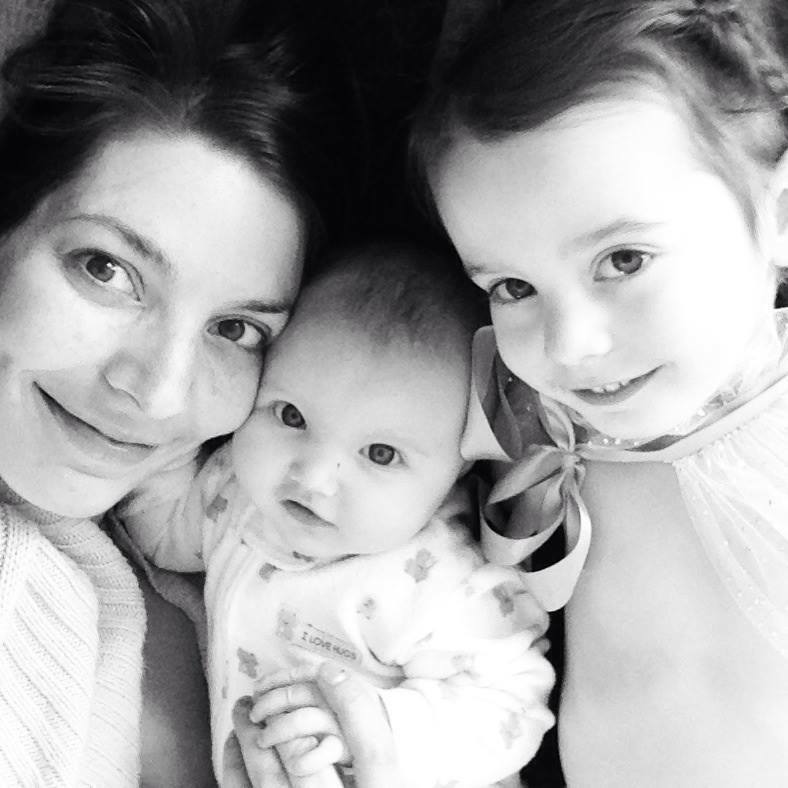 The girls love them so much! I REALLY appreciate your taking the time to read this. Here's a cookie for you! (Um, so I don't actually have a cookie but I SO WOULD GIVE YOU ONE IF I COULD.) It’s so nerve-racking putting yourself out there like this, but I truly believe that these books are so important and worth sharing. If you have any questions about the company or the books, PLEASE don’t hesitate to leave a comment or message/text me! !